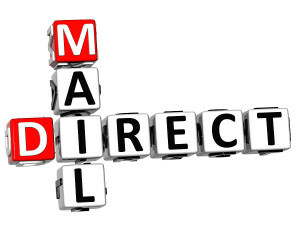 Direct mailing marketing strategies are used by major corporations as an effective means of getting their advertisements, product information, and newsletters to their target audience. By mailing directly to your target audience, you are assured that everyone that receives the information is eager and interested in your products and services. In the past, mass mailings were the best way to reach the largest number of potential customers. If a person was interested in the mailing, they were easily directed on how to get more information about a product or service. However, mass mailings often found their way into the trash or recycling bin (both literal and electronic) because people do not always take the time to read a mailing that does not appeal to them at first glance. Because of the amount of waste with mass mailing, using a direct mail strategy saves both time and money by sending information directly to the demographic that is more likely to have an interest. By also using marketing strategies that appeal to these same demographics, the odds of a mailing going directly into the trash go down. While the wasted cost is decreased with the use of electronic mailings over paper mailings due to the elimination of paper and postage costs, time is also a factor when mass mailing with the use of electronic means. 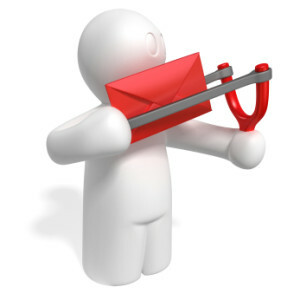 To properly execute a direct mailing campaign, the most important step is finding the target audience. This can encompass more than one demographic. For example, a product or service can appeal to both males and females, or a larger than average age range. Finding your target audience requires looking at your product or service and realizing exactly who would be interested in it. Knowing your ideal customer will help build your target audience. The target audience for your company’s product or service is the one that is most likely to be immediately interested upon viewing your mailing based solely on their age, gender, location, or economic standing. When your product or service was designed or refined, there was no doubt a customer base in mind. This customer base is your target audience. For example, the target audience for a new or improved make-up or skin care product would be females ages 16-99. While certain make-up or skin care products are used by both men and women, the make-up industry is predominantly solicited by females of all ages. Even when mailing directly to a target audience that will immediately be interested in your product or service, it is necessary to design a brochure or catalog that will instantly pique the interest of your audience. Using images and colors that reflect the nature of your company and bring attention to the main details of the mailing is necessary to grab and hold the attention of the recipients of your mailing. The main focus of the message needs to be who you are and what you are selling. Once you have their attention, then you can focus on ways to encourage them to contact you for more information. An advertising campaign that employs the use of experienced advertisers will use their knowledge to your advantage. Those that have studied the art of advertising and have experience with different demographics will help you understand what will work best for your company to appeal to your target audience. At their disposal are the results of studies that have found the colors, designs, and type fonts that will attract the most attention. A final design will most certainly be approved by yourself and your team, but employing experts in design and advertising can take your ideas and turn them into a successful campaign. Designing a mailing that will appeal to your target audience requires more than just a picture and phrase and the encouragement to contact you for more information. While certain potential customers may have been searching for a product such as yours and be immediately interesting in more information, others may need to be enticed. A mailing should include all pertinent information about the product or service, enough so that anyone who looks at the mailing will immediately understand exactly what it is that is being advertised. There should be no general questions about what services you provide if a potential client contacts you for more information. The initial interest in your mailing should lead the audience to continue reading, and they should be able to ascertain what services or products you are offering. By knowing exactly what you are offering, a potential client is more likely to know how your services or products will help them. Just as important as the information contained in your mailing that describes your products or services is the means by which a potential customer is able to contact the company for more information. This information needs to be easily visible and quickly seen. A potential customer does not want to have to search for contact information. It is wise to promote more than one means to contact your company. The more ways, the better. While some customers prefer to anonymously click through a web site before contacting a company for services, there are those that still prefer the one on one interaction of a direct phone call to a customer service professional. By providing your audience with more than one way to contact you, you are increasing your chances of being contacted.